I bought my first 911 at just ten years old in 1976. It was very lifelike but, unlike most 911s, the model 1975 Carrera could be garaged on a bookshelf in my bedroom. I never thought that I would own a real one though, but my driving instructor foretold that I would one day. Scrolling forward to 2004 I began to think about changing my BMW 530i for a used M5. My wife was not so keen, suggesting instead a used sports car as a high days and holidays car alongside the 5 series. I did not need a second prompting. A few weeks later I attended a recording of Top Gear and, during the tea break, I spoke to Richard Hammond. Giving him my budget for a used 911, he suggested a 993 Carrera 2. An internet search revealed a local specialist going by the name of “911 Virgin”, a highly appropriate name. I arrived at an anonymous farmhouse located a couple of miles from Uxbridge. Dealing with a young man named Tom, he showed me a 1997 993 C2S with a Cashmere interior. It was immaculate. I took it for a test drive and instantly fell in love. I kept that car for five years and enjoyed every second of my time with it. I will never forget the glorious distinctive chatter of its air-cooled engine. The first time I put my foot down at the apex of a roundabout and catapulted out of the exit road remains etched in my mind. However, life and the family finances eventually got in the way of my automotive idyll. At the height of the recession, I sold it for two thirds of what I had originally paid. Roll forward to 2015 and after my wife had commandeered our new BMW X5, I was on the lookout for another sports car. I knew that there was only one Porsche 911 that would fi t the household budget and that was the 996. We started our search with 911 Virgin and my wife and I took a shine to a 2003 Carrera 2. I contacted them and was offered a test drive the next morning. The sun was shining and my excited son and I headed off to the Uxbridge farmhouse. Tom greeted me again, showing me the 996. Again, it was immaculate. The interior was in showroom condition. The 996, in my eyes, looks very attractive and, fortunately, it drove as well as it looked. I knew that I was unlikely to find a better used example at that price. The deal was done and I waited patiently for 911 Virgin to fully prepare the car. One sunny Friday morning, my wife and I picked it up and I had the same grin on my face that I had 12 years previously! There have been one or two small problems with the car but 911 Virgin fixed these under warranty and, when I had the car tested by a mechanic friend of mine who services Porsches, he confi rmed that the car was a peach. The 996 makes a surprisingly good small family car. The kids fi t snugly in the rear seats and there is enough luggage room for a day trip or a long weekend. 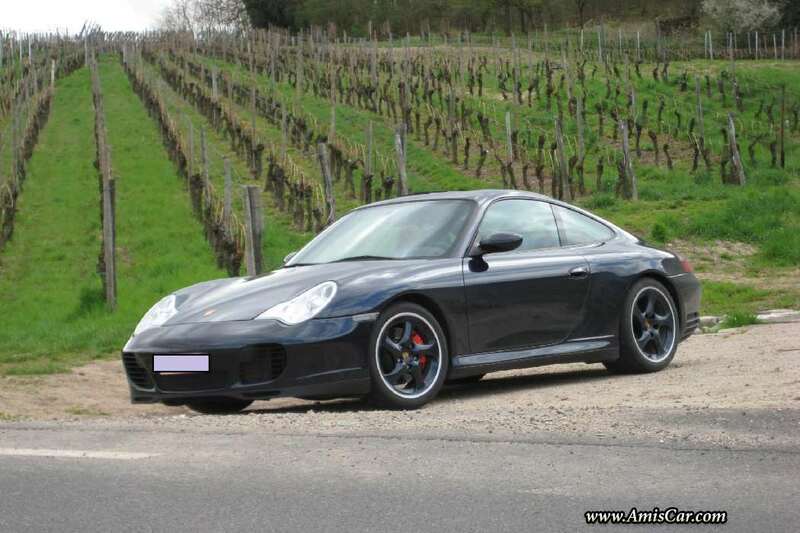 The handling is very similar to the 993 but the 996 is, dare I say it, a better experience. There is less bobbing up and down from the front and it is far easier to judge the extremities of the vehicle. The ride is better too. And the engine is more refined with a glorious exhaust note. I cannot believe that the car cost just over half what I paid for the 993 some 12 years ago! Every drive has become an occasion and the kids adore it. The glint in my son’s eyes is worth the price of admission alone.